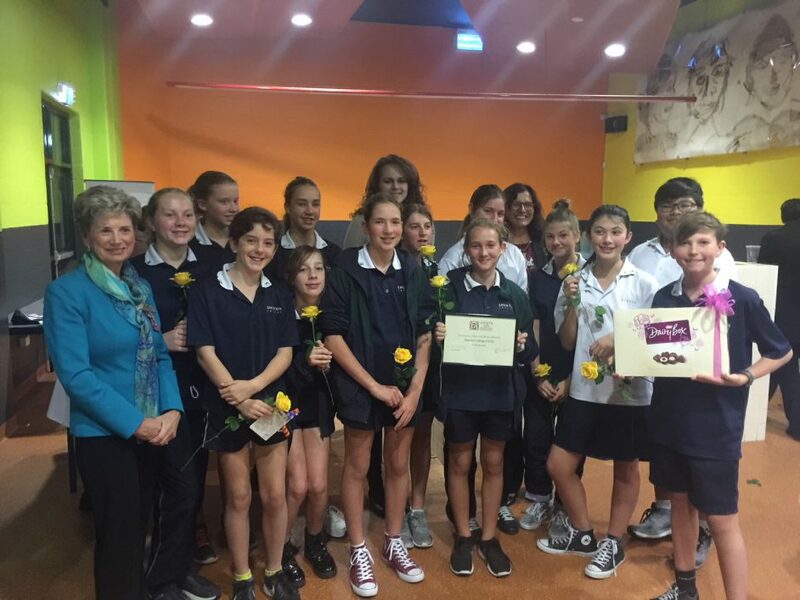 Shenton College has formed an alliance with Zonta International and established the first school based Zonta Club in Western Australia. Zonta International is a leading global organisation empowering women worldwide through service and advocacy. It has been in existence for almost 100 years and during that time has been responsible for saving the lives of thousands of women and children, both directly through medical assistance and crisis accommodation, and indirectly through educational programs and support. On Tuesday, May 29, the College’s commitment to being part of this international organisation was recognised with an official Charter evening where the Shenton College Z Club was formally recognised by the Zonta Club of Perth Inc. The Governor of District 23, Ms Judy Gorton, President Ms Casperz and Z Clubs Co-coordinator, Ms Jill Anderson attended the evening. Principal Mr Michael Morgan addressed the gathering of staff, parents and students, highlighting that while Shenton College is renowned for its academic excellence, it also focuses on facilitating the growth of a child in all areas of excellence, including personal and emotional. The Shenton Difference was certainly in evidence on the night with members of the Shenton Z Club hosting, catering and organising the evening’s proceedings. Ms Kristy Watson, Head of Middle School, commented on the commitment of our Middle School students in sincerely and genuinely wanting to make a positive difference in the lives of those less fortunate than themselves. One of the first projects for Shenton College Z Club is the packaging of birthing kits to be sent to women in developing countries who are at risk of losing their baby through lack of access to sterilised equipment both during birth and post-birth. The aim is to raise $3000 in order to package 1000 kits. All Middle School students will be invited to be involved in this project. So far the club has raised in excess of $500 and welcomes any donations to help them realise this goal.